A forecast from economists from Oxford Economics has suggested that Manchester’s job creation is set to outpace top international cities such as Berlin, Paris and Tokyo. The report, Beyond the City, was commissioned by the International Festival for Business and forecasts employment growth of 3.8 per cent in Manchester till 2020 – with 7,800 new jobs created in the professional services sector. The growth compares favourably to other cities, including a growth of 1.7 per cent for Paris, 1 per cent for Berlin and a negative growth rate of -0.7 per cent for Tokyo. The increase in the professional services sector also means that Manchester will be one of the top ten fastest growing places for jobs in law, finance, management consultancy and advertising outside London. The report analysed the performance of the UK economy and the local economies beyond London with a focus on manufacturing, energy & environment, professional services and digital & creative sectors. In the previous 5 years, Manchester created almost 14,000 jobs in the professional services, with neighbouring Salford adding 3,548 digital and creative roles. 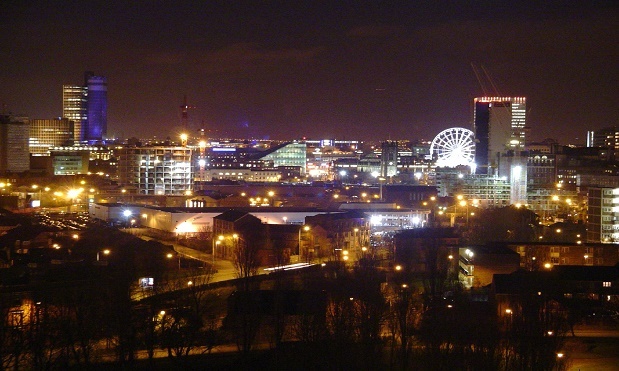 Another local area, Trafford, will potentially grow at as faster rate – 15 per cent- and create over 3,800 new jobs in the professional services sector between 2015 and 2020. Chair of the International Festival for Business, Max Steinberg, said: “This study indicates that the renaissance of the north is real, creating employment, particularly in the ‘knowledge sector’. “What’s particularly impressive is that Manchester is expected to outperform world class cities like Berlin and Paris for employment growth over the next five years. “Too few people hear about the growing dynamism of the north and it’s time people gave it more recognition.